Here is a brief sample of some of our properties with videos. Please call us at (800) 260-2148 for more information. 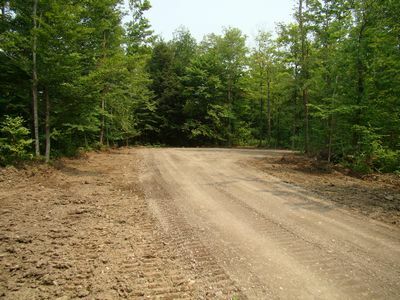 20 fantastic acres in the Adirondack Park with easy access by the existing driveway. You can drive your car several hundred feet back into this forest to a completely hidden/private building location! 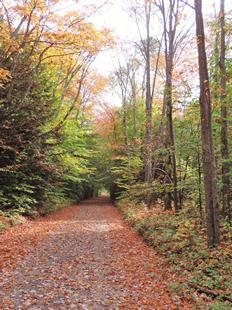 You'll find all the beautiful hardwoods and evergreens the Adirondack Park is famous for. New survey and as always we guarantee this property is buildable right now! The Adirondack Park agency has completed their review and you can build NOW! 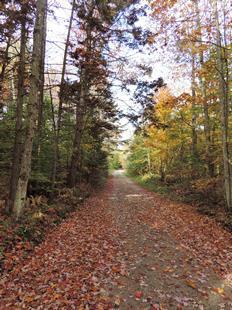 The outdoor lover will find State Land close by , snowmobile trails are close along with the famous West Canada Creek. You will not find a private wilderness property of this size in The Park , ready to build with new survey at this price. We have it , don't wait ! 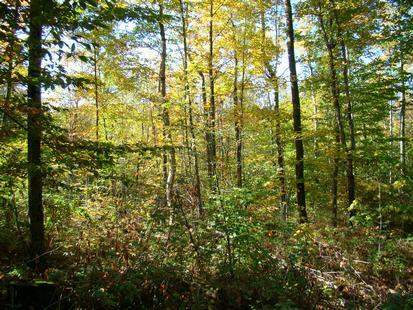 15 beautifully wooded acres in The Park with Adirondack Park Agency approval and ready to build! Not wetlands here , just a perfect piece of those Adirondack woods we all love. Easy access building locations and new survey complete. 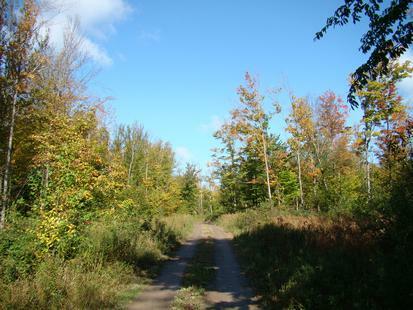 You're close to State Land , snowmobile trails , West Canada Creek and plenty more. Everything you love to enjoy in the Adirondack Park can be had within minutes of this private forest. Don't hesitate because you cannot find Adirondack Park land with APA approval at this price. Perfectly situated Adirondack Park property with all the privacy you demand. 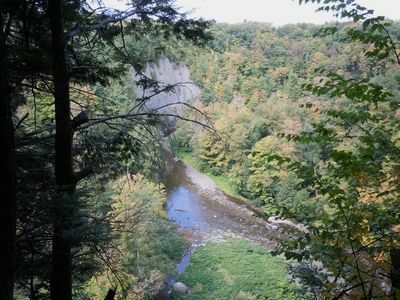 Located in Herkimer County and close to all the outdoor action we enjoy in the Adirondacks. 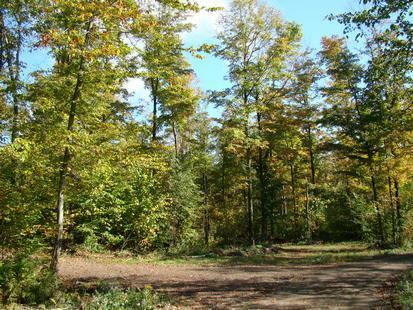 Fully wooded, close to State Land , snowmobile trails and the famous West Canada Creek is minutes away. New survey with Adirondack Park Agency approval to build right away. 12/12/14 UPDATE: Just completed our '14 season and it was the best yet. We killed 4 rack bucks here and passed up who knows how many others! Find a property this size with this kind of production and show it to us. You can't find it.7/17 UPDATE: Alfa Rack plot is in and growing like crazy! in the next 2 weeks the Fall hunting plots will seeded and ready for this Fall. We'll have plots of Whitetail Institute Winter Greens , Winter Peas and Frigid Forage Big-N-Beasty growing and ready for a great season! You will not find a ready to hunt property like this anywhere up here. 1st time offered after years of extensive wildlife management. Let's get to it. This property has been owned by us for 8 years now. During that time we have put in place a deer management plan that has resulted in one of the best deer hunting properties you can imagine in the north east. Over the course of these years we have improved the habitat tremendously with food plots , natural food sources and strict control of the deer that were taken from this forest. The amount of time and money put into this property can't be added up and it's probably best we don't know. It's safe to say this has been an enormous undertaking that has produced the absolute best hunting property we've ever enjoyed. What can you expect here? Well if you continue to manage and maintain the place as we have you can expect to experience numerous opportunities for good bucks every season. We have seen years recently where 17 - 19 rack bucks have been SEEN during hunting season - as opposed to game camera pictures and never seeing the deer. In addition we have a very good black bear population and turkey hunting that's as good as anywhere. Part of our improvement has been providing access throughout the 80 acres. We've built some of the nicest ATV trails you will ever see. 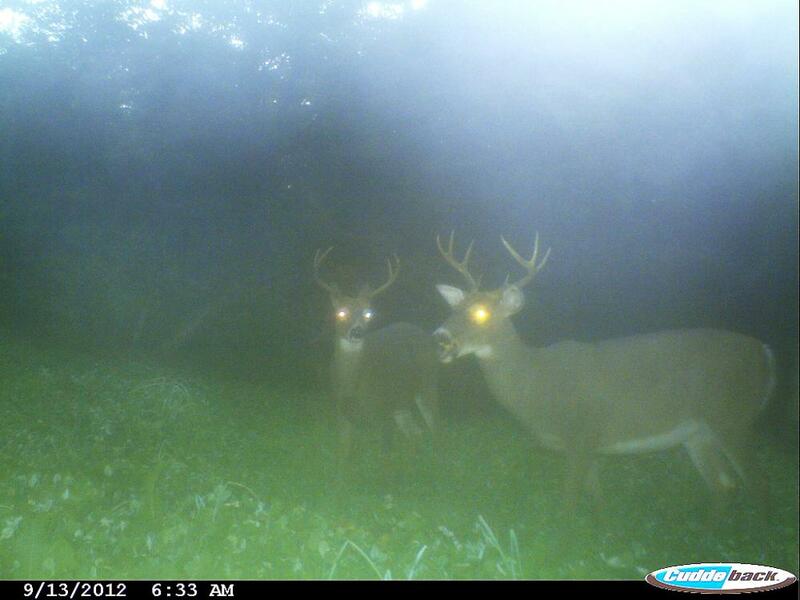 These trails also provide great access by tractor to maintain the numerous food plots. The property itself features several hundred feet of frontage on a town maintained road with utilities available. Although there are no buildings here you can easily build in our parking area which is topped with crushed stone and graded. A locked gate across the access trail offers peace of mind when away. There simply is no way to gain access by ATV etc unless you use this trail. It's locked and safe. Once entering this private forest you'll enjoy the 3 streams running through out. The many trails invite an easy and enjoyable walk from corner to corner. The property has been surveyed and the lines are posted and painted. There are several strategically placed ladder stands ( Big Game Stands) that will stay will be included with the sale. For the offseason you will have countless opportunities for recreation. A State Forest of over 3000 acres is visible from the property. The State Land has a snowmobile trail system that goes through it. You can Snowmobile from the property to anywhere in the north country. A ride to Old Forge or Tug Hill is just a matter of turning right or left and you're on your way. We also have numerous lakes and rivers which will keep you busy fishing , boating and swimming. Want to cross country ski ? Of course you don't! If for some reason you do we have some fantastic groomed trails nearby. Access is easy and you've probably already driven within a mile or so of this place. 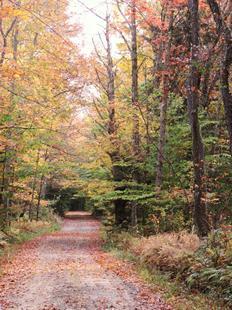 This timberland sanctuary is 5 minutes from a State Highway which accesses the Adirondacks and Tug Hill. Only 30 minutes to Old Forge to the north and 20 minutes to the NYS Thruway to the south. It's all here folks. You've probably seen those places on TV you always wished you owned. Well now is that opportunity. You've worked too hard to get where you're at , aim high and don't settle! For this particular property we will consider in house financing which we can work out with you. We have no hard and fast terms that must be followed and we don't need anyone's approval, neither do you. If financing is needed then we'll discuss some ideas with you when we meet. Thanks for looking, call or email with questions. UPDATE : THIS PROPERTY IS NOW FOR SALE !!! PLEASE SEE OUR FULL DESCRIPTION WITH PICTURES UNDER THE 80 ACRES / ADIRONDACKS.This is not for sale but we wanted to show some info on wildlife foodplots and what we do on our own property. With all the requests we get for info about what grows well here etc we thought it would be worthwhile to show everyone our plots. Hopefully you find this somewhat interesting. We have more videos coming soon. Let us know what you think and thank you for tuning in. PRICE DROPPED IN HALF TO $19,900 !!!! !Here's another forest land we put some work into this year. 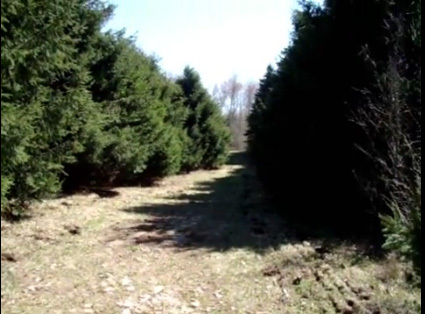 10 acres with just about every type of tree that grows up north. Some beautiful frontage on the river/gorge and plenty of trails for easy access. We constructed a ready to go building site and included easy access to drive right onto that location. 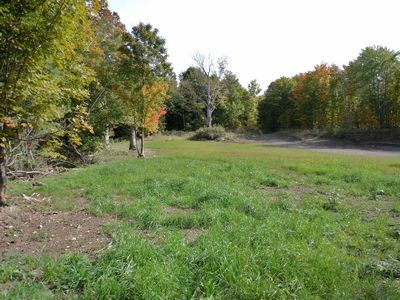 Excellent pond site opportunities as the video points out.You can enjoy Tug Hill Snowmobiling / ATV riding and the fantastic Tug Hill deer hunting. FIND ANYTHING CLOSE TO THIS AT $25,900 AND WE'LL BUY IT!!!! We have land that stretches over 1 1/2 miles on this river. We've seen much more than that. THIS is the absolute best location anywhere around here. Obviously the price reflects that. No , this property at this price is not for everyone , it may be the one for you though. We've yet to see anywhere in NYS where PRIVATE land has this view and the land to go with it. Usually anything near this is along side a busy road and is public land. This is as private as one can get with the guarantees you demand. New survey in place ,countless building opportunities for your NY cabin. We'll cut it short , hope you enjoy the video and make plans to experience a private forest that will positively shock you. NEW PRICE AT AN INCREDIBLE $25,900 !!!!! We've taken the extra steps to make this beautiful woodland as shovel ready as possible. A brand new driveway suitable for any vehicle ,including the Harley , leads to a perfectly situated building site. The build site is cleared and leveled with gravel and just as suitable for parking your camper if you aren't ready to build. You'll enjoy incredible views of your pristine river frontage below. One of those rare waterways where there's almost no chance of ever seeing anyone. As nice a private wilderness you can imagine with all the improvements you want. Don't wait on this one ! PRICE REDUCTION TO ONLY $19,900!!!! This is the absolute perfect setup for Dad to hunt and the family to enjoy the rest of the year.For the outdoorsman it's all about location for a lot this size.This is perfectly situated and designed to fit for the hunter.Surrounded by wooded, private land and just far enough from the nearby farm.Several trails provide easy access by foot or ATV with potential building locations all over the place.When you aren't hunting take advantage of all the activities at your doorstep.ATV/snowmobile trail systems close by,Lake Ontario a short drive away,the Salmon River down the road.Virtually any outdoor activity the family enjoys can be found here. PRICE REDUCED TO ONLY $15,900 !!!!!!! Want the getaway but can't spend the $$ on waterfront? This woodland is sure to fit the bill. Picture the rolling ,wooded hills filled with widlife.The many trails will lead you through your forest for fun filled days of hiking,the best in NY deer hunting hunting and plenty more.As usual we have a new survey completed and guarantee it's buildable.This is a great family opportunity for a reasonable investment.Don't wait long on this one - another one new to the market that will certainly get a lot of attention. PRICE REDUCED TO ONLY $24,900 !!!!! A rare opportunity to own a superb property with river front AND stream frontage. Featuring a perfectly placed wooded knoll to build between the 2 water bodies. Truly an amazing lot with unlimited potential.Nearby you can enjoy the thousands of acres of state land, Tug Hill ATV/snowmobile trail systems and plenty more. Call for all the details on this gem. We've just put this on the market and don't expect it to be available long. Email us now for information on all of our properties and up to the minute specials. "I began my search for my get away cabin online. That allowed me to see a variety of different land companies and their offerings. The video's that MooseRiver put on the Web sparked my interest, and the more I looked at them the more I became comfortable with their approach and style. The video's were magnificent, but when I actually took a visit the quality of the land and the value for it just blew me away. Its been a pleasure to do business with them. I feel more than ever that they are the best land company for me and I am looking forward to spending many years in the Adirondacks." As I have done previously, I will continue to refer friends and family to the Moose River Land Co.,as I'm certain they will be pleased with the service provided. I know they will especially enjoy looking at property without feeling the pressure to make an "on the spot" purchase... Mick, as you are well aware, any land purchase can be stressful for the buyer. I believe the "out of state" purchase being the most stressing. However,your company and salesman made this usually tense and stressful transaction a seamless one, with our concerns quickly being laid to rest..." - Robert and Elizabeth P. , Blairstown N.J.